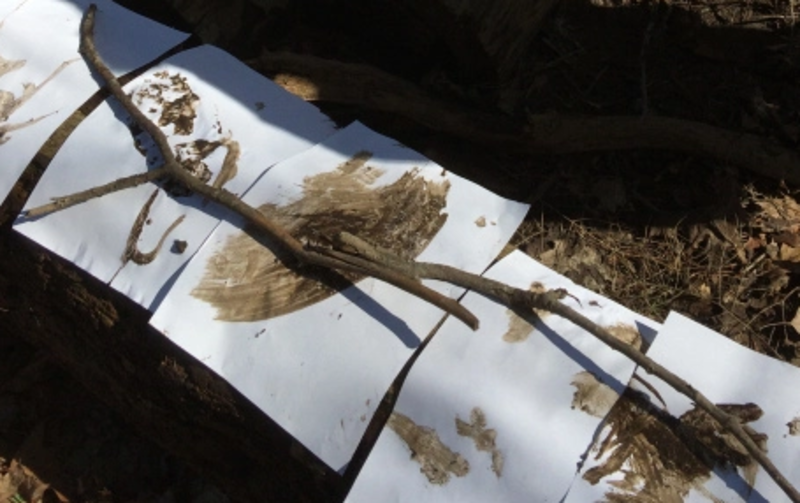 Make a natural paintbrush by bashing the end of a stick to make the fibres splay out. Wrap wool 5-10 cm from the end to decorate the brush. Dip in mud and enjoy natural painting. Can you make different shades of natural paint using other materials? Can you add anything to the brush to create the effects of texture in your painting?